The location was excellent and provided easy access to a wide variety of restaurants and attractions. Love the interior of the apartment, clean and comfy. The property have everything we needed. Definitely will come back again and stay at this place. Stu clean, comfortable and in a great location!!! Highly recommend this property!!!! The place was super clean and easy to get to from the subway and buslines. Amazing apartment in an awesome location. The hosts thought about everything and all appliances I needed were there. We travelled with our children and they enjoyed the property too. Thank you. Very pleasant lady and very helpful with information. The location is very central. The apartment is large and well equiped. The beds were comfortable. It has a clothes washer and drier and everything you need in the kitchen. It was expensive and we didn't get anything like the experience we had hoped for. The location is good BUT there are many better value for money options. I like that pet is allowed in the apartment, the location is perfect and the beds are comfortable. The welcome champagne and chocolates are really cool. I would definitely recommend the property to friends and family. 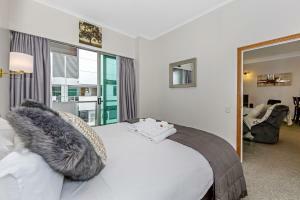 Lock in a great price for Princes Wharf - Luxury 2BR Apartment – rated 8.6 by recent guests! 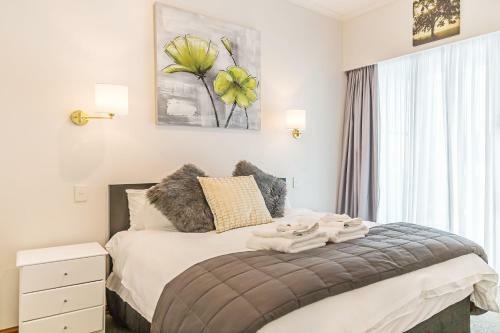 Princes Wharf - Luxury 2BR Apartment This rating is a reflection of how the property compares to the industry standard when it comes to price, facilities and services available. It's based on a self-evaluation by the property. Use this rating to help choose your stay! One of our best sellers in Auckland! 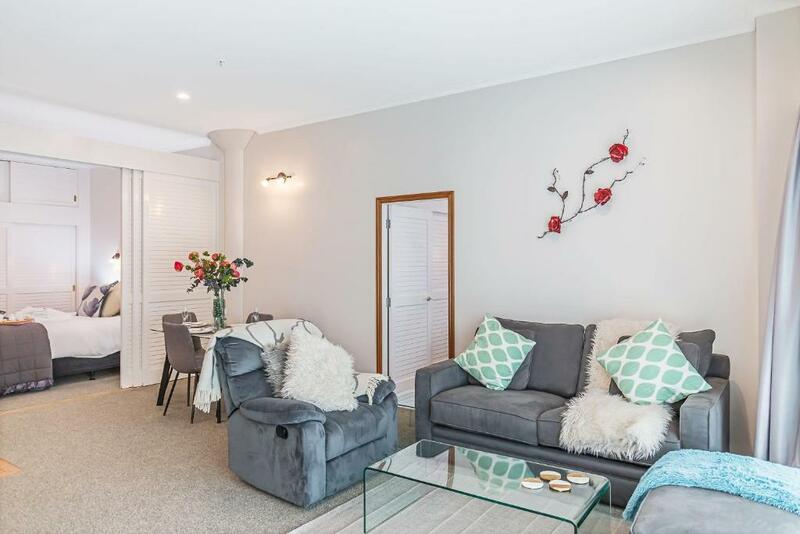 Princes Wharf - Luxury 2BR Apartment is located in Auckland, a 3-minute walk from Viaduct Harbor, 2,100 feet from Sky Tower, and a 14-minute walk from SKYCITY Auckland Convention Centre. Guests have access to free WiFi. The apartment has 2 bedrooms, a flat-screen TV, an equipped kitchen, and a bathroom with a shower. Private parking is available at the apartment. 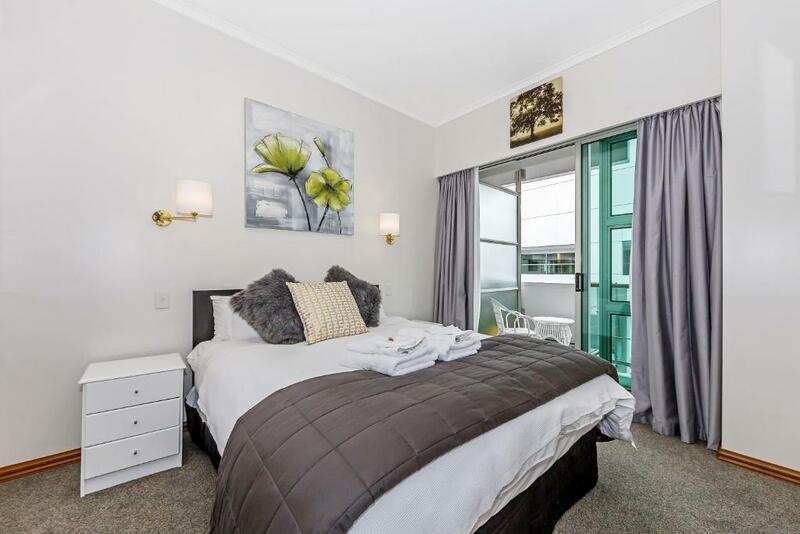 Princes Wharf - Luxury 2BR Apartment has a grill. A terrace is available for guests at the accommodation to use. 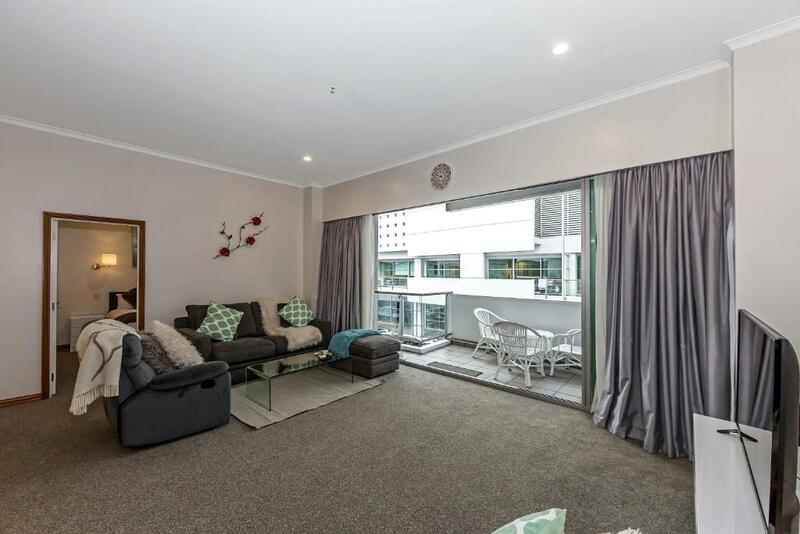 Popular points of interest near Princes Wharf - Luxury 2BR Apartment include Aotea Centre, The Civic and Aotea Square. Auckland Airport is 17 miles away. When would you like to stay at Princes Wharf - Luxury 2BR Apartment? This apartment comes with a fully equipped kitchen and a Nespresso coffee machine and Soda Stream machine. It also has a dishwasher, smart TV, washing machine and dryer. There is a BBQ on the patio. Please note pet dogs under 25kg are permitted in this apartment. Additional charges apply. For more information, please contact Princes Wharf - Luxury 2BR Apartment using the contact details found on the booking form. Private parking is available on site (reservation is needed) and costs NZD 30 per day. This newly renovated and refurbished 2BR apartment is in the heart of Auckland's waterfront and has an internal, courtyard view. The apartment is fully equipped with FREE WIFI and all the comforts of home, including washer and dryer. It also has NESPRESSO and SodaStream machines, BBQ and balcony furniture, 50' SMART TV and bluetooth/CD player. Best of all, it can comfortably fit 6 people on the king bed and queen bed as well as on the queen sofa bed. 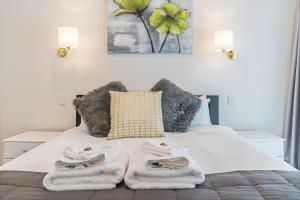 At Princes Wharf Select Apartments we provide high end - luxury accommodation with all the comforts of home. 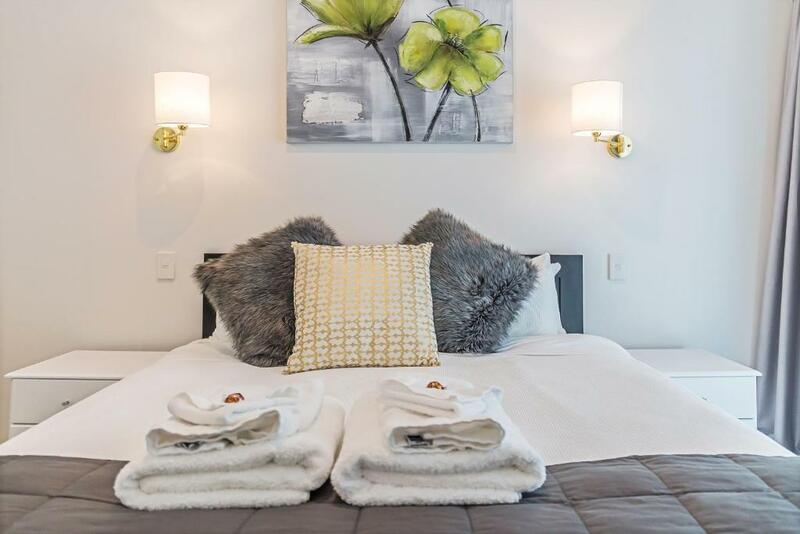 Whether you are in Auckland for a weekend getaway, for business or a holiday with the family, stay independently in one of our self-catered apartments on Auckland's world-class waterfront. The apartment is located in the heart of Auckland's lively downtown waterfront district with many bars and restaurants at your doorstep. The main bus, train and ferry terminals are a few minutes walk away. Taxis are available just outside the apartment building and Uber drivers are always around. House Rules Princes Wharf - Luxury 2BR Apartment takes special requests – add in the next step! A NZD200 damage deposit is required 14 days before arrival (about USD133.51). This deposit will be fully refunded 7 days after check-out, as long as there isn't any damage to the property. Princes Wharf - Luxury 2BR Apartment accepts these cards and reserves the right to temporarily hold an amount prior to arrival. Please note that there is a 3.9% charge when you pay with a credit card. 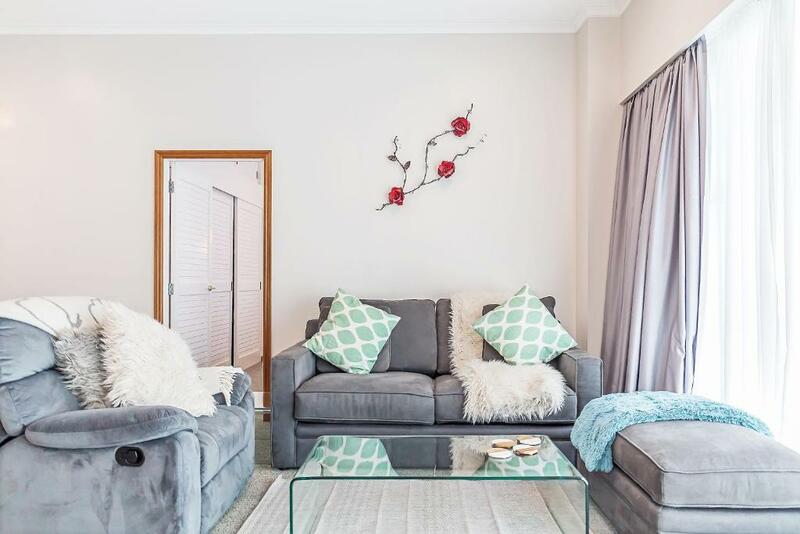 Please note that this property requires a refundable NZD 200 credit card pre-authorization to cover any incidental charges or damage to the property. This is charged when payment is processed 60 days prior to arrival. Please note this property is strictly nonsmoking. 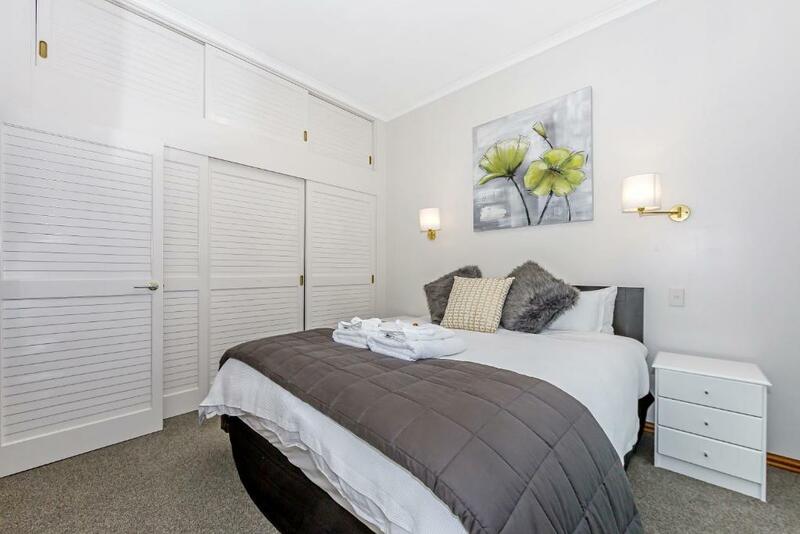 Please inform Princes Wharf - Luxury 2BR Apartment of your expected arrival time in advance. You can use the Special Requests box when booking, or contact the property directly using the contact details in your confirmation. A damage deposit of NZD 200 is required. The host charges this 14 days before arrival. That's about 133.51USD. This will be collected by credit card. You should be reimbursed within 7 days of check-out. Your deposit will be refunded in full by credit card, subject to an inspection of the property. The proximity of the property meant that the common areas and the balcony smell of kitchen exhaust from the bbq restaurant located on the ground floor of the building immediately next to the entrance door to the building and directly below the balcony of the apartment. Luckily the bbq exhaust smell does not permeate the actual interior spaces of the appartment itself. Also, it could be difficult to navigate the parking because the Hilton hotel located on the same wharf has a great number of tour buses which cause a level of traffic that exceeds the capacity of the wharf. It is convenient to be able to park within the complex, but be prepared to wait while tour buses load / unload passengers and luggage. Apartment was hot and stuffy, no Air Conditioning. Could not leave doors open as too noisy below on street level. Beds were great and we asked for an extra fan that was dropped off straight away. You collect the keys from Luggage Hotel. The person was not pleasant and treated you like idiots for not understanding what is happening. It is not a "receptionist" experience. We mistakenly got an apartment overlooking what they call a "courtyard" but is actually the service lane between buildings. From the photos we were expecting a sea view. We couldn't see the sea. Even the photos inside the apartment show a sea view. Our balcony was above the big fan from a restaurant so we got smells and sound all the time. There is not aircon so to get cool we opened the doors, but got noise from people out of the nearby bars etc plus fans, cars etc. They were totally inflexible when we complained about misleading advertising. The cancellation fee was 100% of the cost. i.e. nothing. Late bookout is $100 per hour. The place does not have A/C. So much for “luxtury”! There is a constant noise from a fan(?) downstrais. There is also very load music till 2 in the morning from restaurants/bars nearby. Don’t fall for pictures showing ocean views by the way. In the entry about the property they have cunningly buried the note about the view (lack of it) where facilities are listed. Lastly, during our six-day stay the internet was completely down for two days. The lady that gave us the key could have been a little friendlier! Great location and good beds! the parking is so tight and its not free and you have to walk 1 to 2 buildings before you get to the parking space. Everything was up to the mark, and well placed. From the Check In - During our Stay - Till Check Out ..... All was so comfortable and well equipped. By far one of the best experienced Apartment we stayed in. I would definitely come back to this property. Excellent guys.